The structure indicated is the extensor digitorum longus muscle. 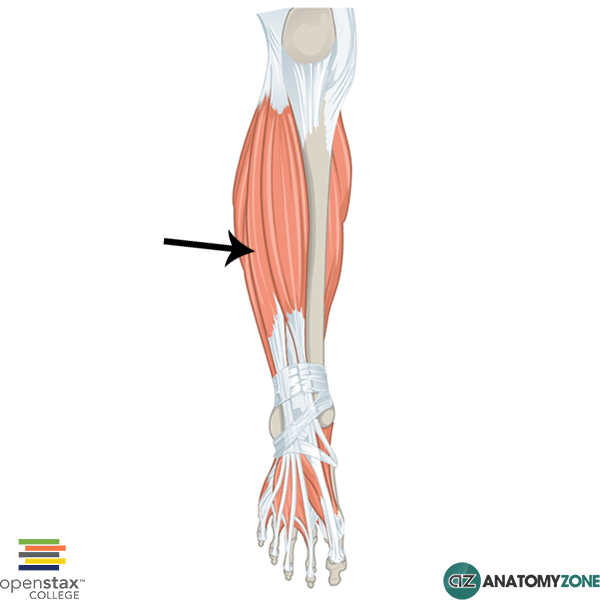 Origin: Proximal ½ of medial surface of fibula. Lateral tibial condyle. Insertion: Via 4 tendons into the bases of distal and middle phalanges of lateral four toes. Action: Extension of lateral four toes. Dorsiflexion of foot.